You get the best of both worlds at RI Advice Holden Hill. There's the confidence of knowing you're with one of the most well-known financial planning groups in Australia, RI Advice Group, backed by the strength and resources of one of the country’s largest wealth management groups. And there's the comfort of dealing with our dedicated team who pride themselves on quality service with a personal touch. With a career in Financial Services spanning close to 3 decades Tamara Klose has a wealth of experience. Tamara commenced her early career with Westpac, as a Retail Banker. Following was a move to an Investment Consultant role and Senior Financial Planning role with Lifeplan Funds Management. It was here that Tamara developed her vision to build her own successful and enduring Financial Planning Practice; which led her to join with RI Advice as a financial adviser in 2005. Tamara has built a high performing team at RI Advice who pride themselves on going the extra distance for their clients. The team commenced with the establishment of the Holden Hill practice in 2009. In 2016, this team expanded to include RI Advice Mildura. Tamara believes that it is the partnership the Team build with their clients throughout their lifetimes that makes the difference and is what contributes to RI Advice Holden Hill and Mildura’s success. With two locations now serving clients in both metropolitan and regional communities, Tamara has realised her vision to empower more clients with knowledge and clarity on how best to achieve their financial goals. Tamara holds the internationally recognised Certified Financial Planner™ or CFP® qualification from the Financial Planning Association of Australia (FPA) and has a Diploma of Financial Advising from the Securities Institute of Australia. 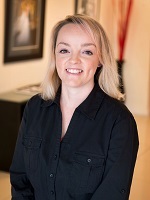 She is recognised as a SMSF Specialist Adviser™ or SSA® and an Associate Financial Planner with the FPA. 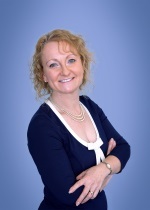 Tamara has achieved both the RI Advice Adviser of the Year 2010 and Practice of the Year 2010 awards. 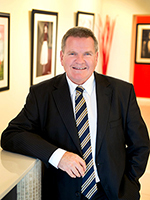 Daryl has been involved in the Financial Planning industry since 1998 attaining the Diploma of Financial Planning in 2000 and accredited with the Internationally recognised Certified Financial Planner™ or CFP® from the Financial Planning Association of Australia Limited (FPA) in 2002. In 2005, Daryl attained SMSF Specialist Adviser accreditation or SSA™ issued by the SMSF Association, Australia’s peak industry body for SMSF professionals. Prior to entering the financial planning industry Daryl worked in the banking industry. He is passionate about helping our clients identify their financial and lifestyle dreams and endeavours to assist them in setting upon a course in order for them to achieve their goals. With his qualifications and experience, Daryl is well qualified to help clients achieve their financial goals along with providing peace of mind. 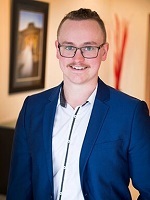 Mate joined RI Advice Holden Hill in 2012 as Senior Paraplanner and holds a Masters of Applied Finance, Post Graduate Diploma of Global Wealth Management and Bachelor of Economics. He works closely with Tamara preparing strategy and advice documents and is well qualified to assist our clients achieve their goals. Melissa is our Senior Client Service Officer and has been with RI Advice Holden Hill since July 2015 in a part time role. 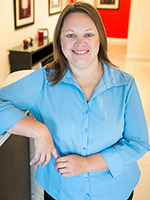 Melissa has over 17 years experience in the financial planning industry and is responsible for ensuring all implementation tasks are executed accurately and efficiently. Her attention to detail and client service expectations make her a valued member of this team. Outside of work, Melissa enjoys photography and travel – ideally combining the two. 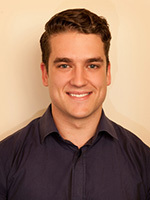 Benjamin joined the Holden Hill team in July 2015 as a Client Services Officer whose primary role is administration support to the Advisers and team members. Benjamin has a pleasant and professional demeanour and gets satisfaction in providing positive client service. He currently works part time and can be heard as the friendly voice who greets you when you contact our office. Prior to joining the Holden Hill team early in 2017, Melissa worked extensively in administration providing high level support to senior staff and management. With her outgoing and friendly nature, she is the welcoming face at reception. Melissa prides herself on establishing and maintaining strong, credible relationships with clients and out of work enjoys socialising and keeping active.